"Follow the Signs" continues with the lesson including the useful tip of how to abort from a run-away programming loop. Click image for larger view. 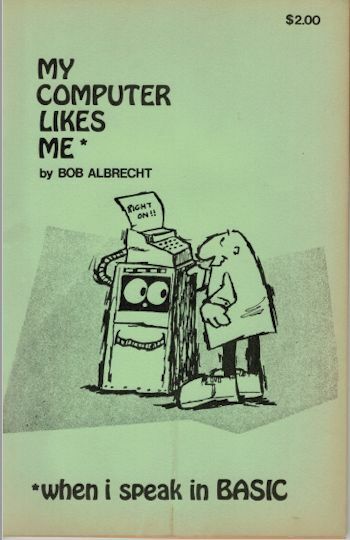 There were no personal computers in 1972 when this book was first published but the demand was there and people were very eager for computer access...Students would visit schools and libraries to take classes in BASIC. The computer would not actually be present in the room where the class was being held. 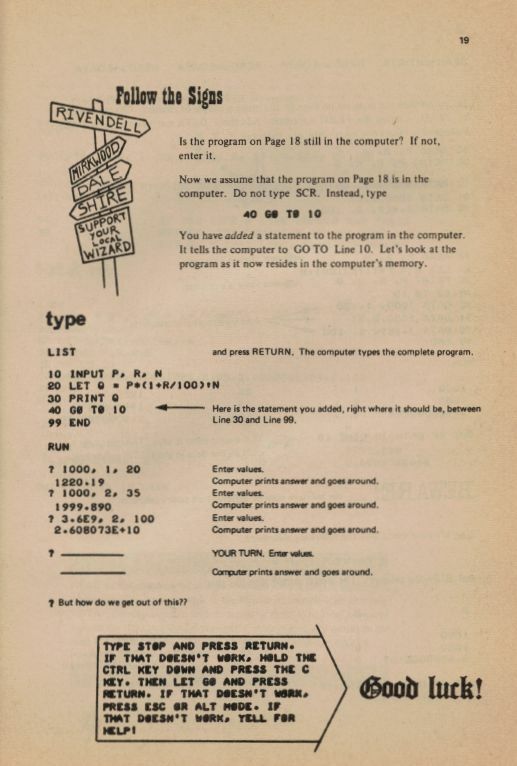 The I/O device, a Teletype, would be attached to (typically) a PDP 8 or PDP 11 computer remotely. The book was published by Digital Equipment Corporation (under the name DYMAX?). 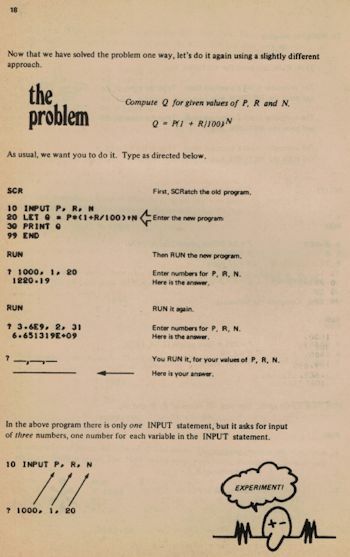 250,000 copies of this book were sold!